Purpose: Use this document as a reference for how to create general deductions in ctcLink. If there are existing deductions, click the Add a Row (+). 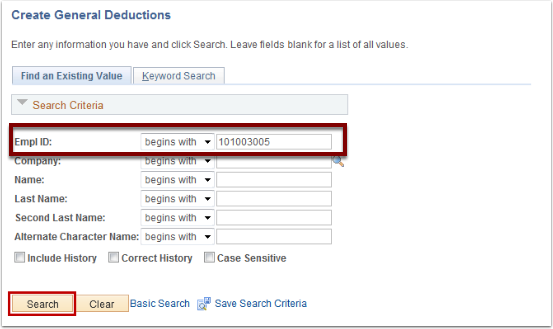 Select the Deduction Code lookup icon and select the appropriate deduction. 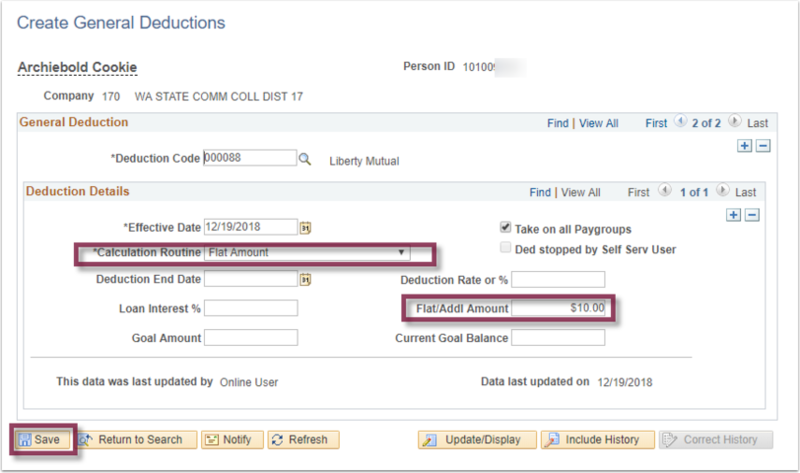 Depending on the deduction, complete the appropriate fields in the Deduction Details section. 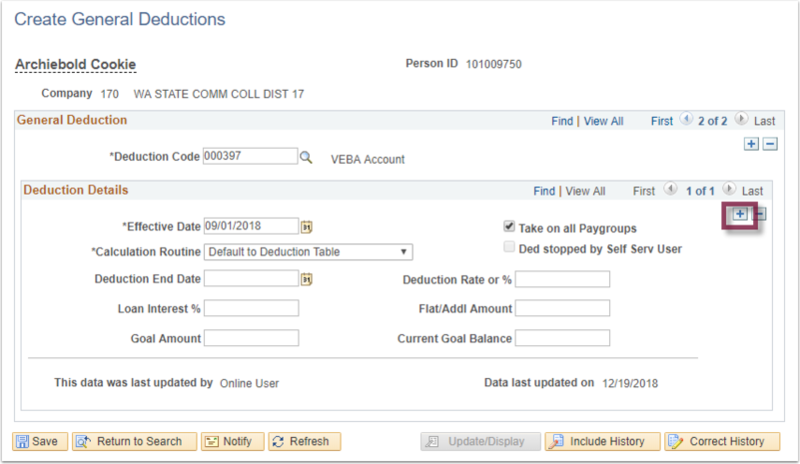 Below is an example for a deduction set up as a flat amount. To end a deduction follow steps 1 and 2 above. 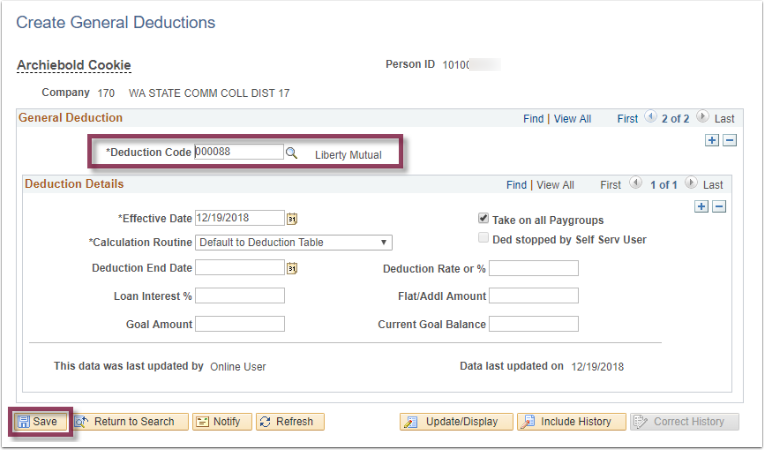 In Create General Deductions, locate the correct deduction by selecting either Find or View All. 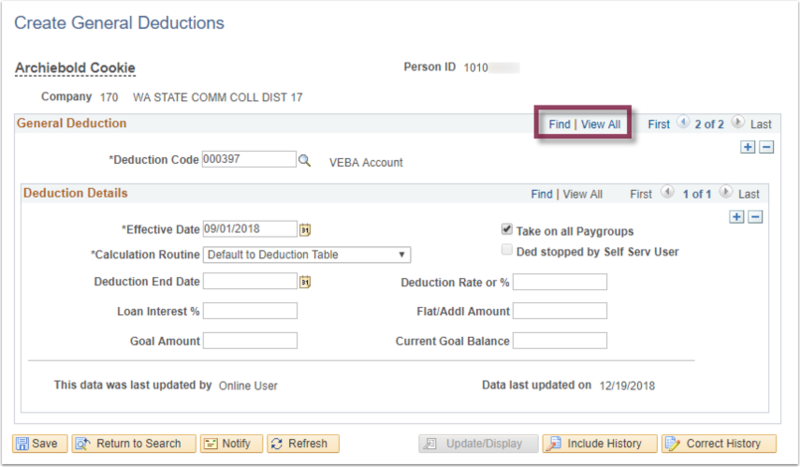 Click the Add a Row (+) in the Deduction Details section. 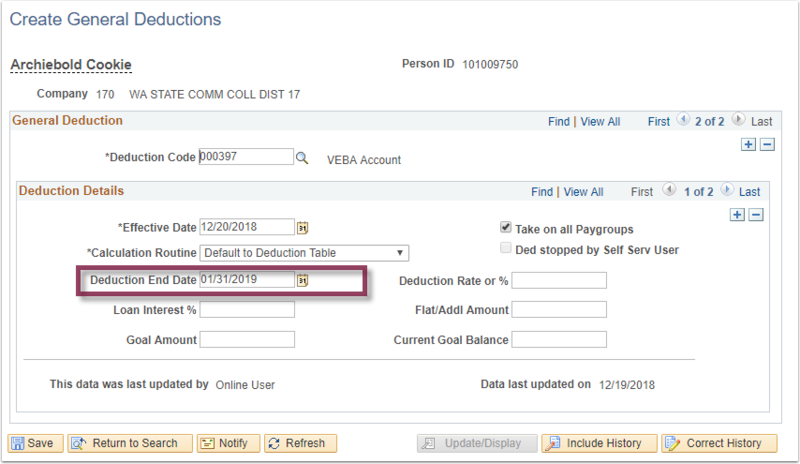 Enter correct date on which the deduction is to end in the Deduction End Date field.